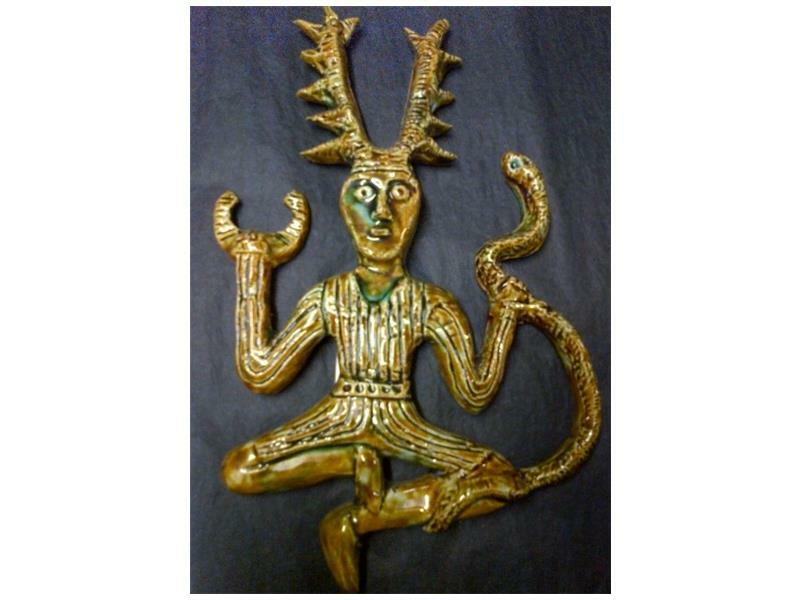 This image is probably the most famous of Cernunnos, depicted on the Gundestrup Cauldron, found in Aars, Denmark. A large, lavishly decorated silver vessel, the Gundestrup Cauldron dates back to the late La Tène period, between 200 BC and 300 AD. This lovely wall plaque is based on that image, and portrays much of the fine detailing of the original. 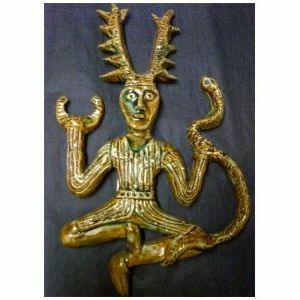 25cms (10") tall, resplendent in Stag antlers, Cernunnos sits crossed legged, in his right hand a torc, and with his left, he grips a horned serpent by the head. Completed with a lovely glazed finish. (Colour may vary from that shown).